In the Netherlands there is space for electric scooters. They use the same infrastructure as bicycles, which means they don't come into conflict with pedestrians as they do in the UK. 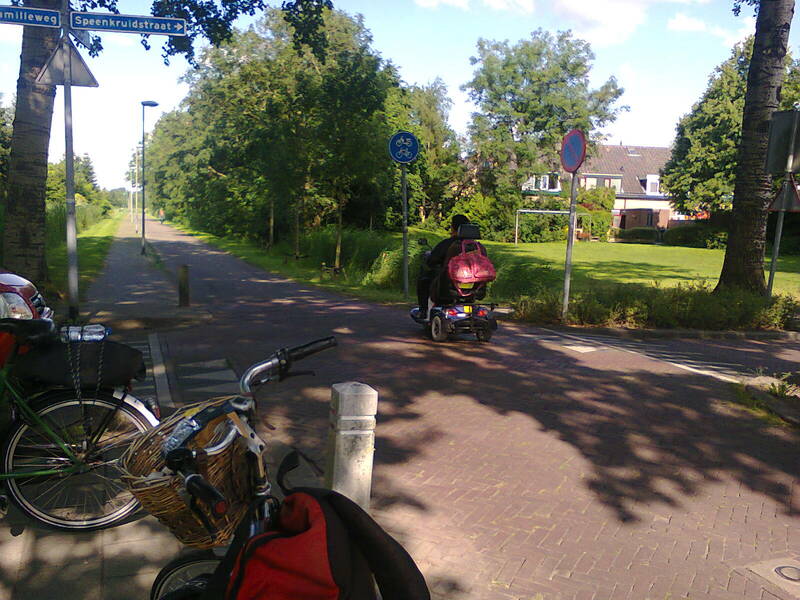 This cycle path crosses a road used by cars, but it has priority over that road.